Any cupcake shop or ice cream parlor can offer you a pre-made dessert. If you want to express yourself with your treats, check out Create Donuts in Sandy. Now in its fifth month of operation, the shop lets customers invent whatever confections their hearts desire by adding different glazes, toppings or fillings to a base dessert. Offering donuts, croissant-donuts, crepes, gelato, cookies, soda floats and homemade drinking chocolate, Create Donuts has something to please every sugar-lover. The delicious desserts are made fresh, exactly how you like them, while you watch. 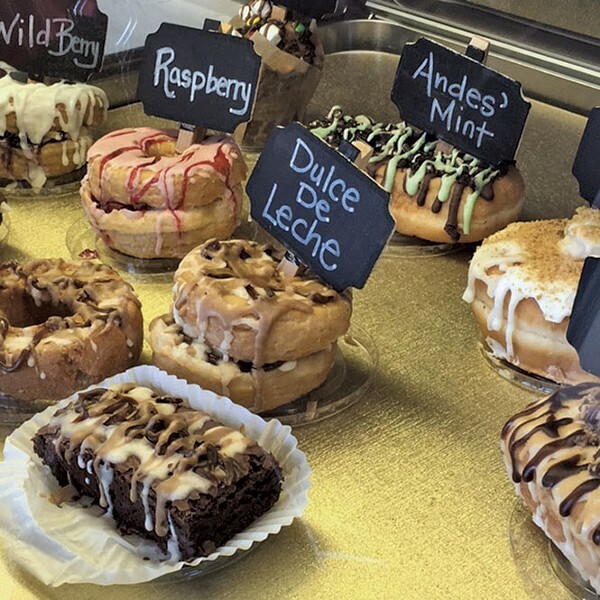 "I don't know of another place doing that," LaDonnia Jones, owner and doughnut creator, says. "The range of flavors you can combine is extraordinary, and the quality of the ingredients is excellent." Jones bakes all her pastries and makes her own gelato in-house, using organic sugar, natural flavors and colors whenever possible, and the finest ingredients, like Key limes from Florida and real Madagascar vanilla. When asked to pick a favorite dessert, Jones says it's too hard. "If I'm in the mood for something fruity and refreshing, I'd get our soda with grapefruit sorbet and fresh raspberries," she says. 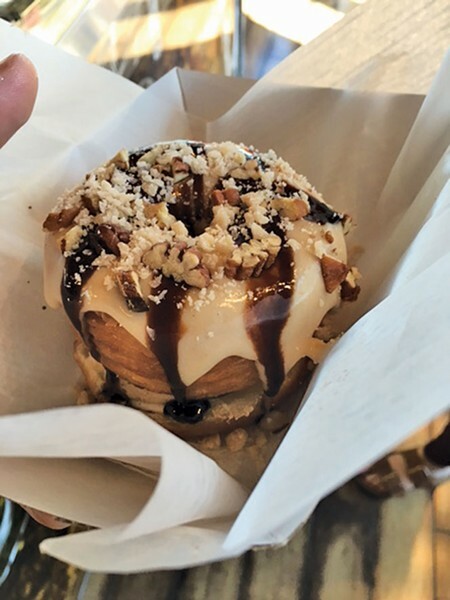 She also enjoys a crepe with gelato, Madagascar vanilla whipped cream and Key lime drizzle or a mocha croissant-donut with chocolate mousse, pecans and a maple glaze. 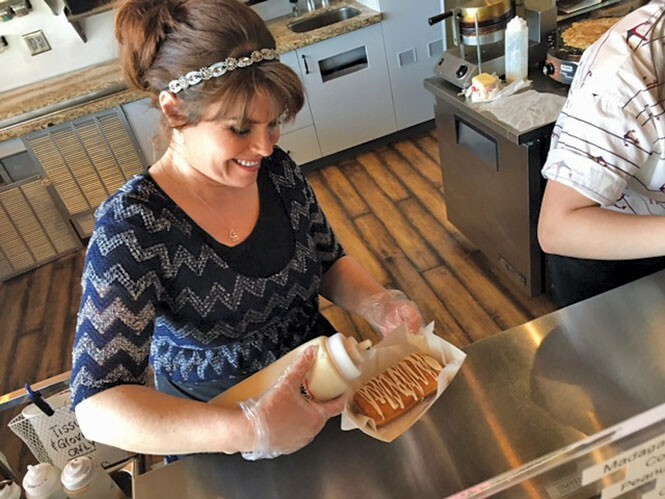 Jones has long wanted to start her own business and founded Create Donuts because it was the type of place she would want to come to. "I love to play with my food," she says. "I love good dessert that is real and not just sweet and artificial. And I love how social dessert can be." So far, Jones' experiment has been a huge success. "The cream filling was incredible," says Brian Palmer of Sandy, who ordered a dulce de leche-filled bar donut. Jones loves working with customers who are eager to create something completely new and unique. "It's incredibly fun to see kids'—and grown-ups'—faces light up when they see their completed dessert," Jones says. Her favorite type of customer is definitely kids who have a knack for flavor and experimentation. "They really get into the process," she says. "It is a blast." And when a customer is really excited about the process, she says, she and her employees can always tell. "They start bouncing up and down on their toes," she laughs. "It's the best."